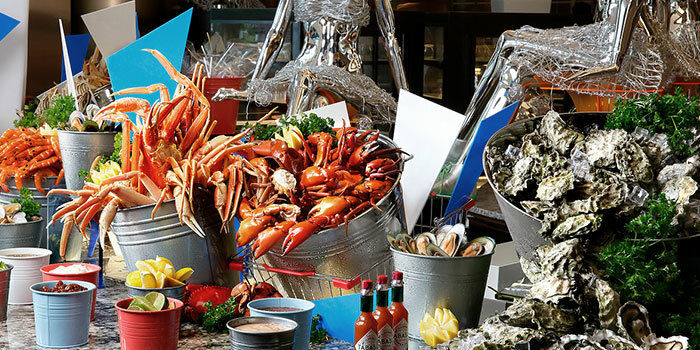 One of Singapore’s most sought after local, Asian and seafood buffet is back at Window on the Park, Holiday Inn® Singapore Orchard City Centre. Passionately prepared by our team of talented chefs, Window on the Park is the place where you can savour perennial favourites like Chinese Rojak and Kueh Pie Tee at the Do-It-Yourself counters, or head to the live station featuring the ever popular Chef’s Singapore Laksa where you have the option of the chefs personally preparing a bowl of local goodness just for you, or try your hand in putting together a national dish! 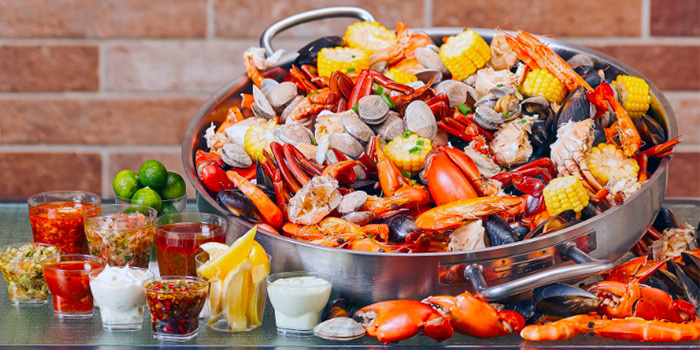 The buffet also features seafood on ice such as succulent poached prawns and cold Canadian mussels along with 10 different hot dishes like chilli crab, fish head curry, and black pepper crayfish, local dining has never been tastier! 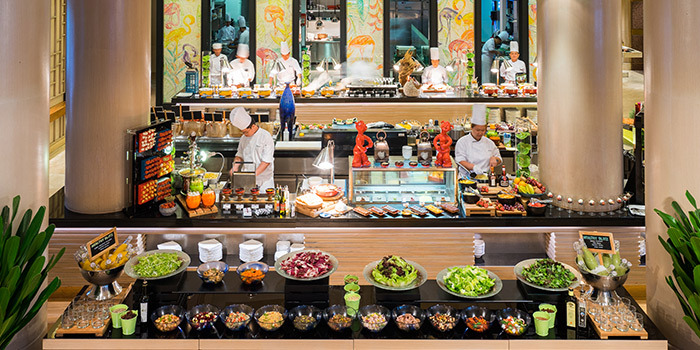 Enjoy 55% off Buffet when you pre-purchase Chope vouchers to Window on the Park here. 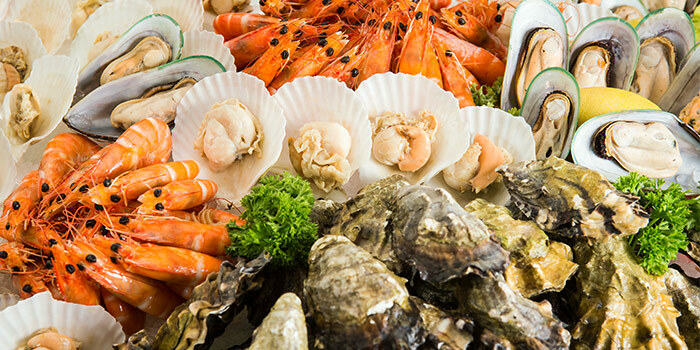 Singapore’s most sought-after local and Asian buffet brings back by popular demand, its Seafood in a Wok, inclusive of the popular 1-for-1 weekend dinner from Fridays to Sundays. Executive Chef Ken Chaw and his culinary team introduce two new flavors of mushroom cream with cheese and onion sambal. Sri Lankan and Malay influenced, the onion sambal seafood wok is so versatile it is an ideal complement with bread, rice and even crackers with a spiciness balanced by a sweetness that will leave your taste-buds dancing for more! 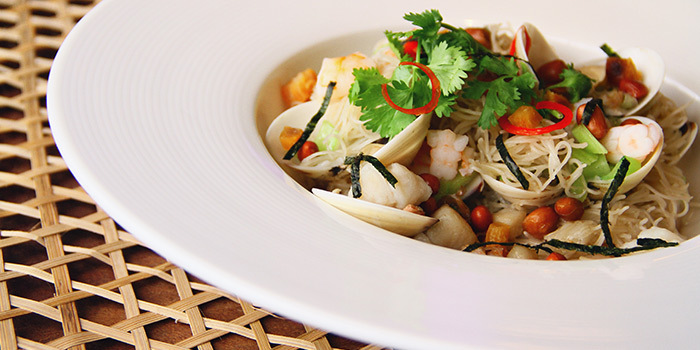 The main-stayer of black pepper seafood wok boasts a perfect combination of peppery spiciness with a hint of sweetness. • The Offers are not valid on eve of and on Public Holidays as well as blackout dates and special occasions determined by the hotel. • The Offers are not valid in conjunction with other discounts, membership privileges, offers, promotions and vouchers. • A customer who holds a HSBC credit and debit card (except HSBC USD card and HSBC Corporate card) issued by HSBC Bank (Singapore) Limited (“HSBC”) in Singapore (such HSBC credit and debit card, a “Card”) as a credit and debit cardholder and whose credit and debit card account is in good standing with HSBC over the entire Promotional Period (as defined below) and at the time of fulfilment (as determined by HSBC at its discretion) and who fulfils these terms and conditions (such customer, a “Cardholder”) shall be eligible to participate in the promotion (“Promotion”). • This Promotion is valid from 1 March 2019 till 28 February 2020. • HSBC is not the supplier of and accepts no liability for the goods and services provided by the Merchant involved in this Promotion. • The Merchant and HSBC reserve the right to vary any of these terms and conditions, or to withdraw this Promotion, at any time in their discretion without prior notice. • Merchant’s terms and conditions apply. Please contact the merchant directly for full details. • The merchant and HSBC’s decision on all matters relating to privileges, terms and conditions in this promotion for all restaurants mentioned in the offer section above will be final and binding on all participants. • All information is accurate as at time of publishing or posting online. Reservations of 15 people and above will only be confirmed once the restaurant receives a deposit for the reservation, which will be processed via an authorization form that will be sent via email from the restaurant itself. Should the form not be filled in at least 6 hours before your meal, the restaurant has the right to cancel your booking.